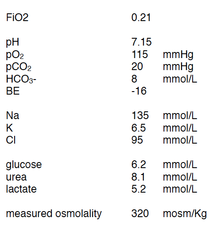 Q1 A 43 year old man presents with 2 days of nausea vomiting and diarrhoea. His observations are normal. You look at his ECG. These are premature atrial contractions. The key is that the p-p interval is not constant. The p wave is generated early i.e. during the relative refractory period, so that a QRS is not generated. 2. An 86 year old man is brought to the emergency department from the nursing home with confusion. 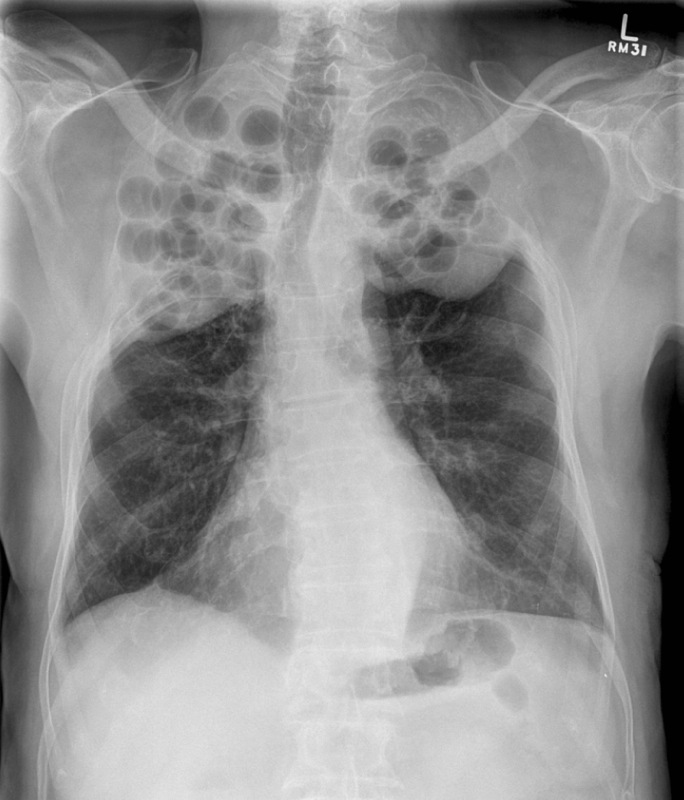 As part of your workup you perform a chest Xray as shown below. What is the diagnosis? These are PLOMBAGE balls. From the latin ‘plumbum’, meaning lead. Great if you can make the diagnosis on the X-ray. They are a form of treatment prior to the 1960′s for TB. It was believed at that time, that if an inert substance was placed in the pleural cavity and it caused a diseased upper lobe to collapse, it would lead to earlier healing. There were several types of inert substances initially used, including olive oil and gauze, lucite balls, a type of acrylic and plastic ping-pong balls. There were complications including infection, that began to make the procedure less popular. With the increased use and effectiveness of anti-TB medications, the procedure was ceased. The initial concept came from Italy in the 1800′s where air was injected into the pleural space to collapse the lung. This was also associated with phrenicolysis; the crushing or division of the phrenic nerve, resulting in ipsilateral paralysis of the diaphragm. We will cover this in the tute. 3. A 26 year old is found collapse in his garage. An arterial blood gas is done. 4. 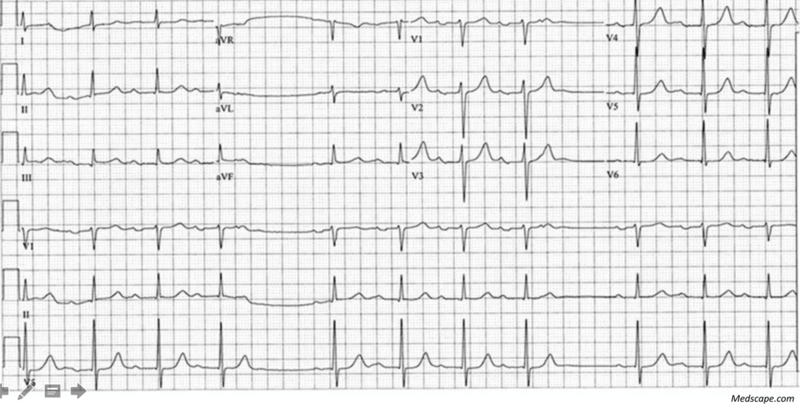 A 32 year old woman presents with a history of PV bleeding and feeling dizzy. An ECG is done. What is the diagnosis. 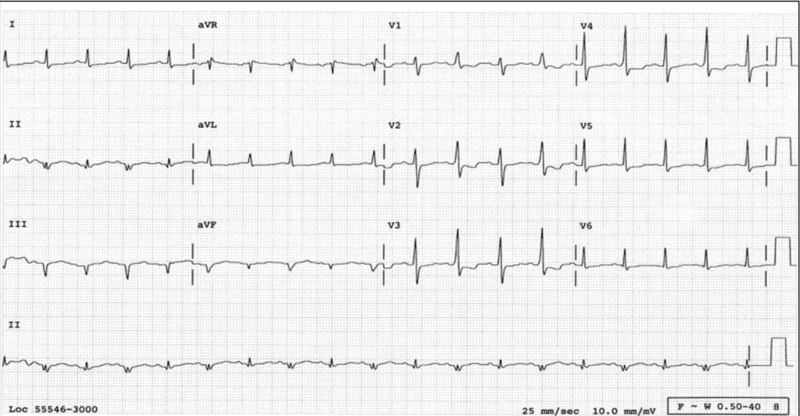 You may think that this is electrical alternans, however it is not. If you look closely you see that every second QRS has a delta wave. This is pre-excitation. 5. A 43 year old somewhat unkept male is brought into the emergency department by ambulance, after he was found wondering the streets. When you speak with him he can talk freely and describe the cubicle that he is in, but cannot remember his name. Patients with an organic disorder will start to forget other things i.e. be disoriented etc and will not remember their name last. If the patient is speaking freely, but cannot remember their name, think psychiatric disorder. 6. What is this sign and what does it show? 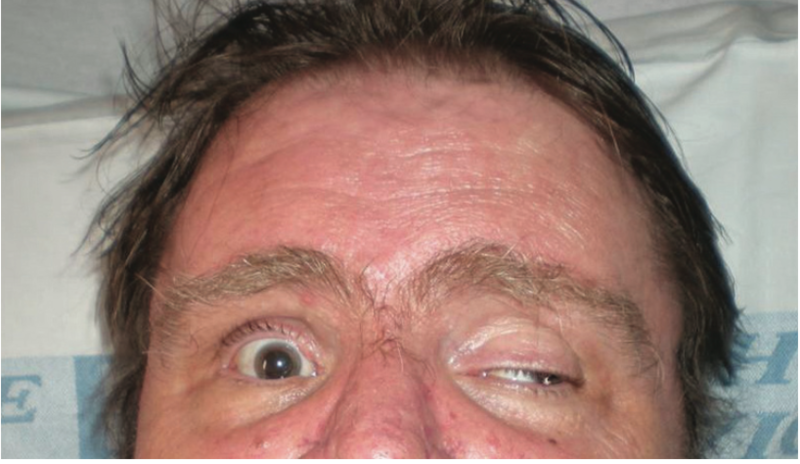 7 This 43 year old patient presented with diplopia. He has had a headache for the past 2 weeks and has developed the symptoms over this time. His past medical history is that of hypertension and diabetes. What cranial nerve is affected and what might be the cause? 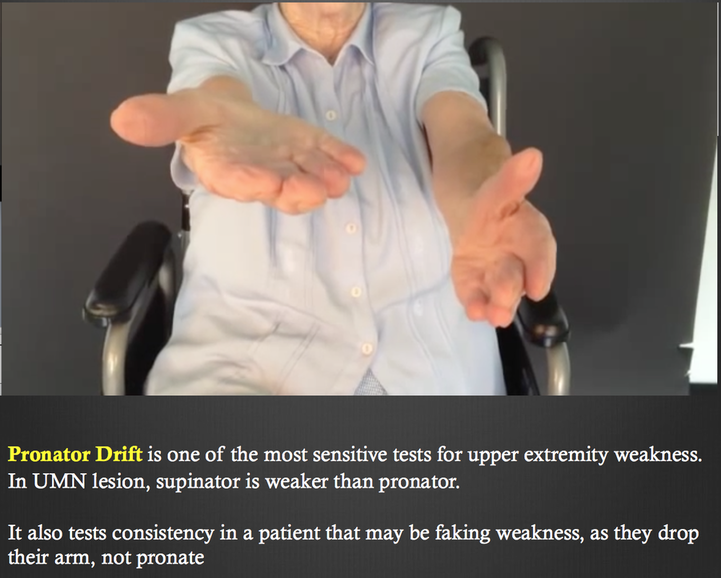 This is a CNIII palsy. remember the 3rd cranial nerve controls all movements except later and sup oblique. It also controls elevator palpebral superiors and also feeds back from the EW nucleus to cause pupillary constriction.